This brooch has been made from a Madagascan Ammonite slice. 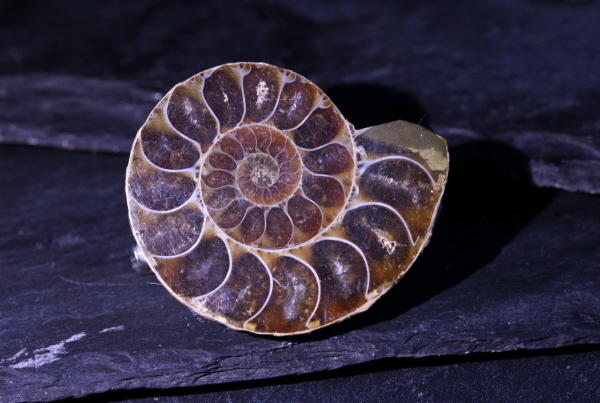 The Ammonite has been sliced and polished and is a stunning light golden colour. This is from the Cretaceous era and is roughly 100 Million Years old. Madagascar is the home of many of the World's most beautiful ammonites and this specimen is no exception.